France is somewhere I had previously never desired to visit, not for any particular reasons other than there were other places I wanted to visit more. And then we did a little tour of France and felt we had been let into the best secret ever. France is blooming beautiful. Ok there are so many more eloquent ways to put that, but the bare facts are France is breathtaking and there are so many stunning places to visit in France. One of those countries that make Instagram addict’s heart skip a beat with excitement. I took so many photos during our trip and despite the weather (the worst France had seen in May for 100 years) everything was so pretty and oh so photogenic. It has made me long for another family trip to France, traveling the length and breadth of the country exploring pretty places to stop and rest with our little family. 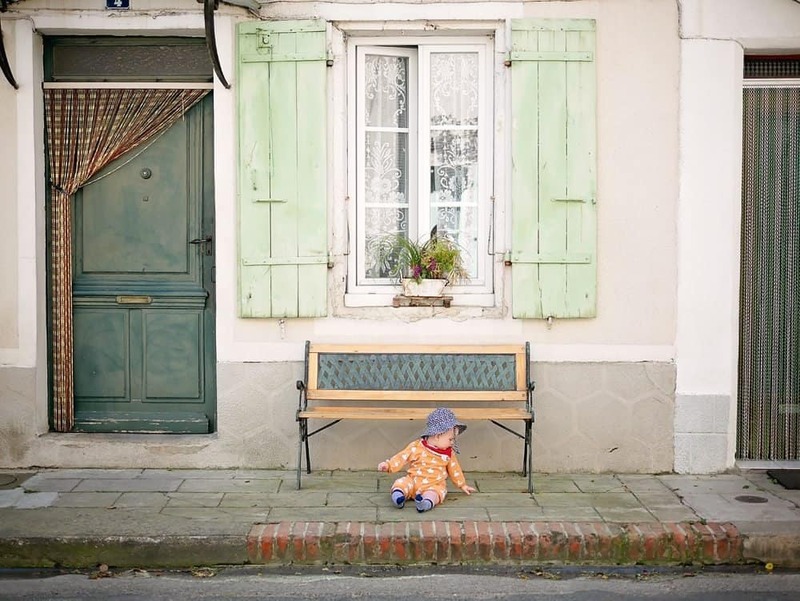 Nothing makes me swoon like a pretty street and Chloe’s photos from the streets of Lot et Garonne and Aquitaine are utterly beautiful. Nell from Pigeon Pair And Me shared this gorgeous post about the Glénan Islands, in northern France. I just adored following Lisa’s trip to Normandy last year and her 48 hours in Nantes look just perfect for people watching. My lovely friend Keri-Anne shared this picture from Disney Land Paris recently and how can I not include Disney? Lastly one of my favourite pictures of our trip to the Burgundy Region, I totally fell head over heels with the whole region. And for those doubting Thomas’s amongst you that haven’t caught the France bug yet, I have asked a few friends to share their favourite Instagram spots in France. And with Brittany Ferries offering such a wide choice of convenient and easy ferry crossings across the Channel, I can’t wait to plan another trip exploring some of these beauties. 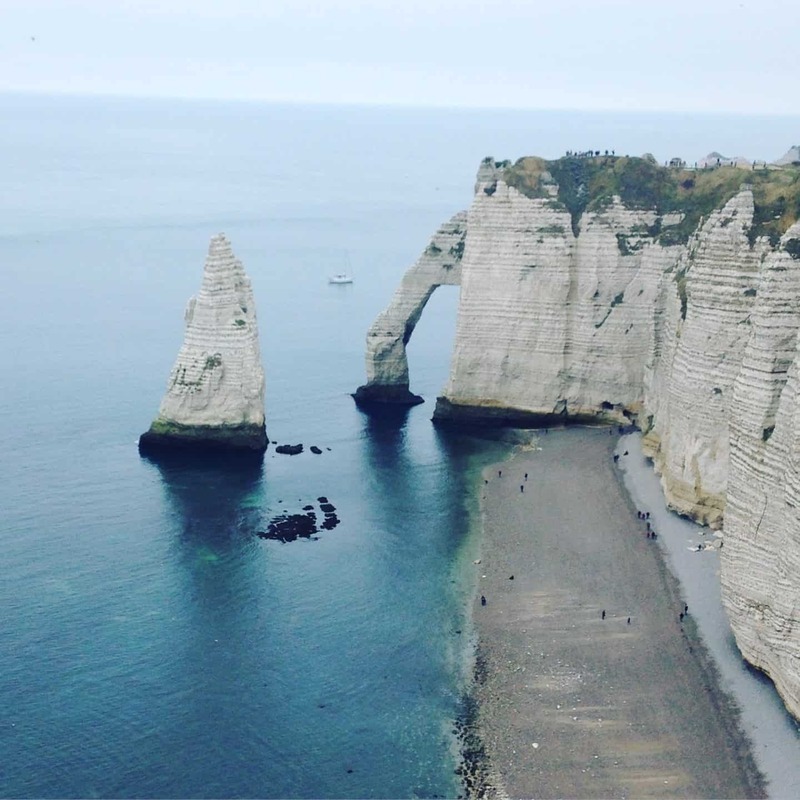 Étretat was originally a fishing village that became a popular seaside resort in the 19th century when Impressionist painters like Monet and Gustave Courbet came to paint the extraordinary landscape. And you can see why with these views and am I the only person that would feel the profoundness of sitting and admiring a view the Monet once painted? I think it’s the pastel shutters and window boxes that make the streets look like they come straight out of a Disney movie. Wandering pretty street is such a luxury, especially when you have time on your hands to take photos and choose the perfect spot for that ever so cute baby photo. Check out Sorry About The Mess for more photos but this one makes my heart melt. 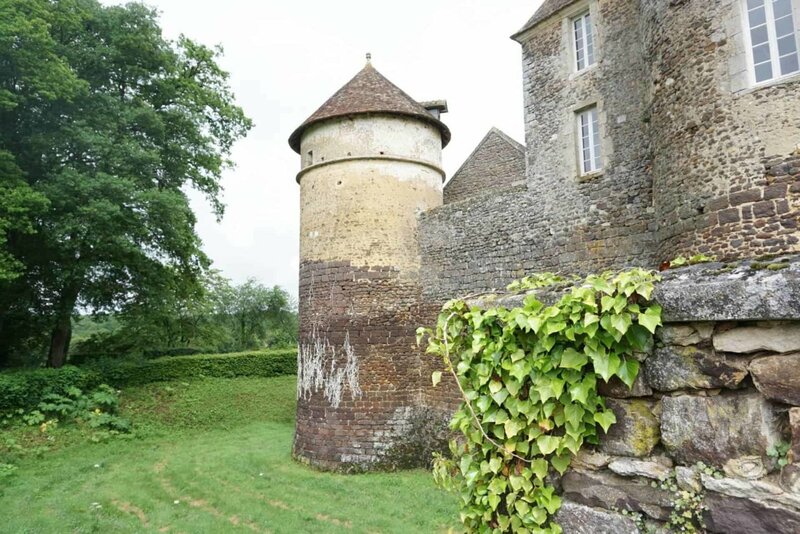 Penny from Parent Shaped shared this very informative post looking at travel options to the Loire Valley. And with the promise of Chateau D’Usse at the end of a trip its is certainly a trip worth making. Being part of Brittany: the Glénan Islands lie around ten nautical miles off the west coast of Finistère, with the craggy corner of the country reaching out into the Atlantic Ocean. These long stretching teachers are the thing of dreams, offering long expanses of open beach that look almost tropical. I am DESPERATE to visit this region how beautiful is this? OMG they are all gorgeous and I am ever so slightly envious of her solo trip to Paris. Where she vowed to walk, to do less and notice more. This is my kind of trip. I do adore having a wander with my camera and Kirstie did it in PARIS. 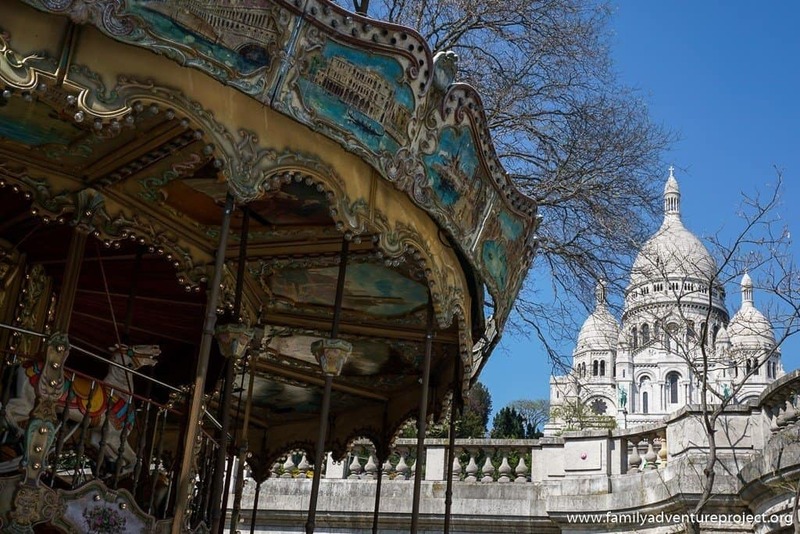 Check out her post which is a visual feast of Paris, and those clocks, but you will have to visit The Family Adventure Project to see them! Seriously, all the hearts for this post. Having a holiday home not far from this incredible landmark Donna has shared so many breathtaking photos over the years. Le Mont Saint-Michel is one of the most visited sites in France and is a Unesco Heritage site. It is visited by over 3 million people every year and as of 2009 the island had a population of just 44 people. 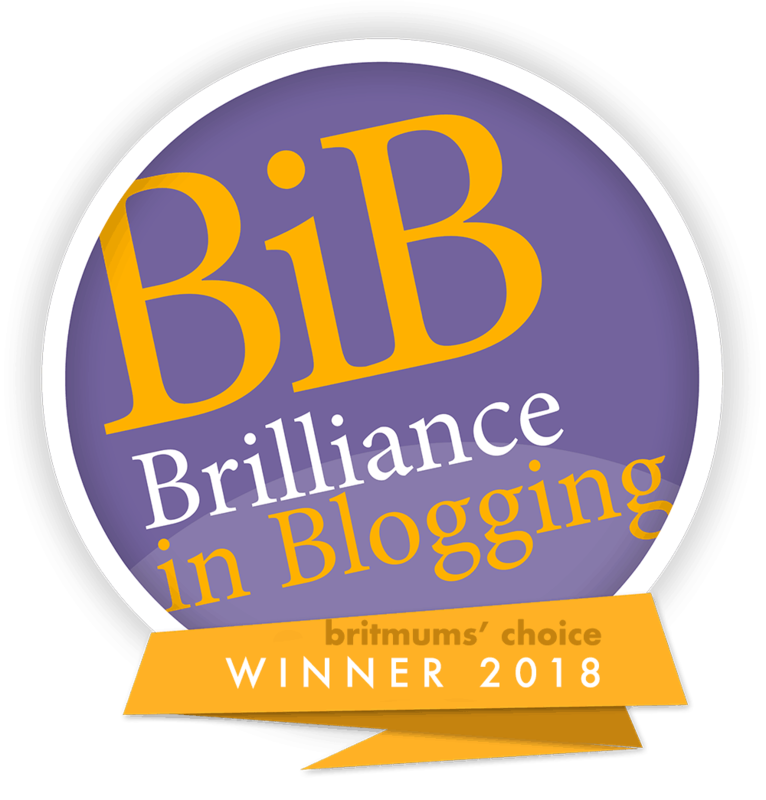 Donna’s post offers some great history and useful tips. 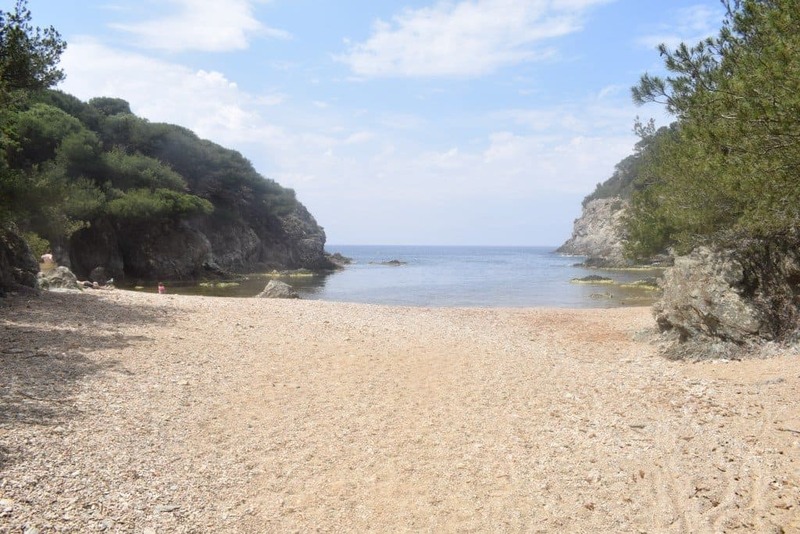 And those photos………..
Made up of pebbles rather than sand, and surrounded by craggy rocks topped with beautiful green pine trees, Brégançonnet is picturesque. The southern side of the island is a different story to the soft sandy beaches of the North. Check out the post over at Dais Like These for a little beach inspiration. 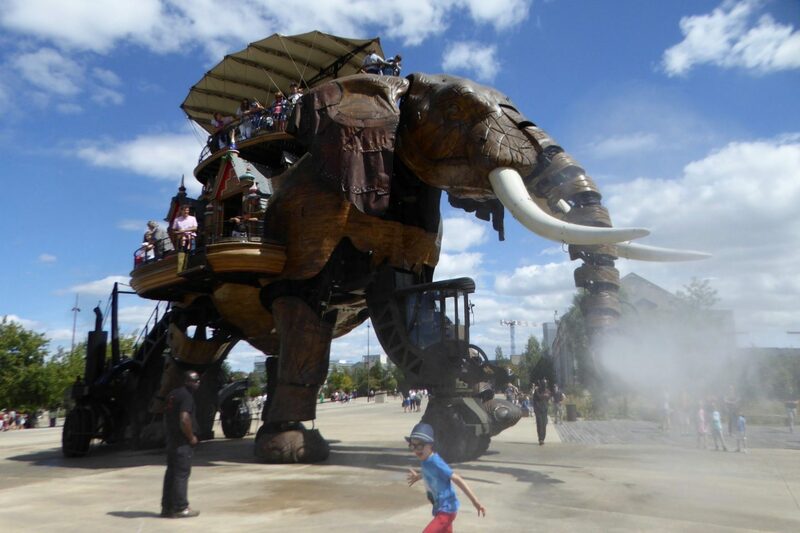 And the Mechanical Elephant is so very Instagram worthy and something her family really enjoyed. Her post shows how exploring is so wonderful with small children in tow. Yes, I know it’s not the real France but you can deny that Disney is oh so very Instagrammable. And who doesn’t love a bit of Disney Spam, I actually look forwards to her trips and check out the rest off the photos over at Life As Our Little Family, it makes you want to rush off a book a trip. However looking at this lovely lot above, I can see we have a whole lot more exploring to do. Aaah looking at all these lovely pics has made me yearn for a bit of sun!! We’ve just returned from a (very) rainy few days in Wales — and although it was perfect, I think the next time we go away I’d like to see a bit of sunshine. 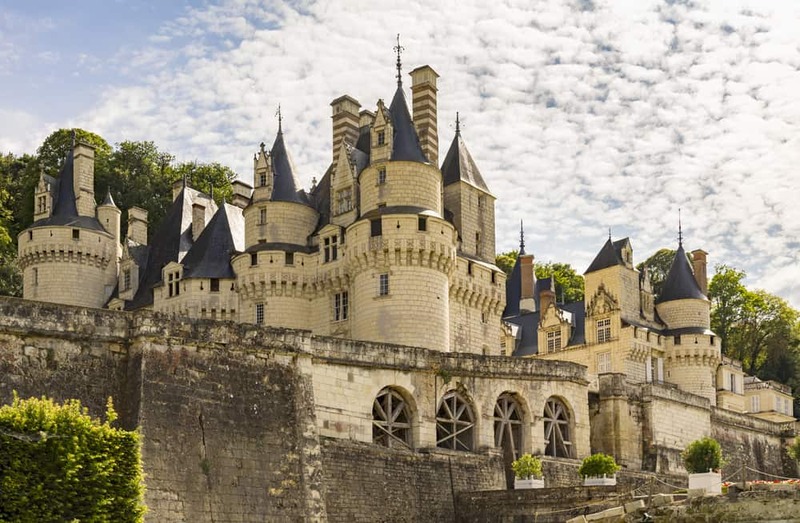 Love all these beautiful pics — that Chateau in the Loire is just stunning! I’ve been to Paris a couple of times but that’s it in France. I’d love to explore it more – each region is supposed to be so unique and from all of these posts you’ve included I can see that’s true. the Sleeping Beauty Castle – oh my goodness I have to go there! Have added it to my travel bucket list. Mont Saint Michel is the one that does it for me. Absolutely love the place even a you approach from a distance it’s magnificence proves why it’s one of the most popular attractions in France outside of Paris. The only problem with France is that it’s too big. There are jaw dropping places to visit and stunning scenery all over the country and each region is slightly different from the last. I for one am really looking forward to retiring so that i can get a motorhome and explore the country at my leisure.